OneSight welcomes Katherine “K-T” Overbey as the incoming President and Executive Director. Overbey brings a distinct blend of blue-chip corporate and nonprofit experience in both developed and emerging markets, as well as a strong desire to make a positive impact. She will lead OneSight’s efforts to scale their solutions in the U.S. and abroad. 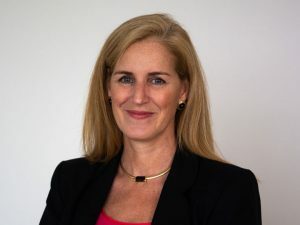 Overbey joins OneSight from Cincinnati Children’s Hospital Medical Center, where she was the Assistant Vice President of Program Development and Innovation and the Executive Director of the Learning Network Program. Prior to Cincinnati Children’s, she served as a marketing leader at Procter & Gamble for 15 years. As an active community member, she has worked to reduce mental health stigma with the 1N5 organization, served on the local branch board for the M.E. Lyons YMCA and held multiple volunteer positions within the Anderson Barracudas swim team and the Mariemont School District. Overbey holds an undergraduate degree from Princeton University and earned an MBA at Northwestern’s Kellogg School of Management. “We are thrilled to have K-T join OneSight as she brings deep experience in leading and scaling global programs, as well as developing innovation for the future,” said OneSight Board Chairman Lukas Ruecker. “I want to also recognize and thank outgoing President and Executive Director Mony Iyer for his leadership and all his efforts in refining and expanding the sustainable solution strategy that is providing permanent access to an eye exam and glasses to over 16 million people. K-T’s unique skillset positions her to build on Mony’s work and expand the sustainable model around the world so that every person has access to clear sight,” said Ruecker.